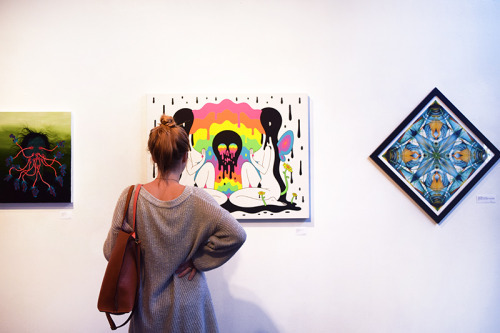 “Strange Waves” features artwork spanning the gamut of psychedelic experiences from alternate realities and out of body experiences to lucid dream states and vivid hallucinations. 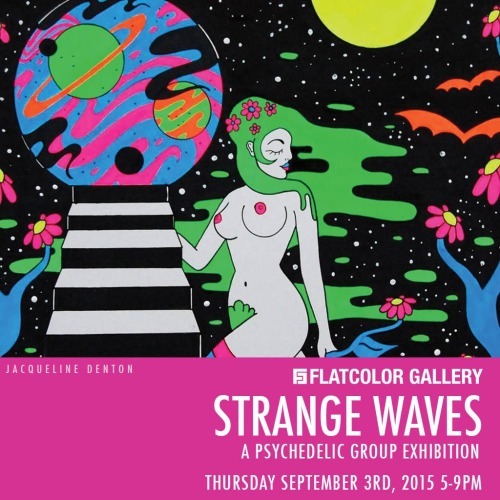 Take a trip through the unique perspectives and bizarre visions of some of our favorite mind-altering artists in this group exhibition by Flatcolor, the gallery who first took you through the vortex with “Round Trip” back in August 2011. Sit back, relax and ride the Strange Waves into another consciousness.